In this article, Michael writes about centralizing error handling in Angular. He discusses some of the more common topics such as; client-side errors, server-side errors, user notification and tracking errors. In this post, Liron aims to explain the thought behind the term “dynamic” forms in Angular. This post won’t tell you how to use reactive forms and won’t show you ways to implement forms dynamically. In Angular 7 with .NET Core 2.2 - Global Weather (Part 1), we talked how to build an Angular 7 app with .NET Core 2.2 step by step. In this article, we’ll create .NET Core API to save the location user selected and populate the latest location when user visits again. 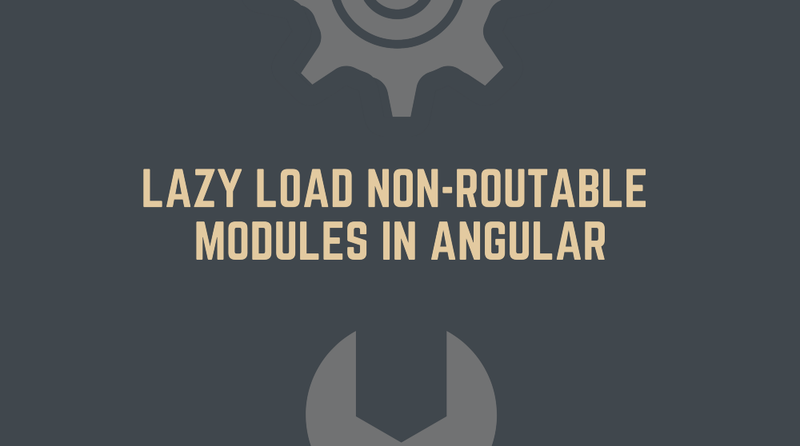 As you probably know, Angular comes with a functionality that allows you to lazy load routable modules out of the box. Although in most cases this functionality is sufficient, it’s still only a small piece of the pie. What about situations where we want to lazy load modules that aren’t routable? In this article, we will learn how to make our Angular app available in different languages using i18n and localization. We will create an Angular application and configure it to serve the content in three different languages. We will also deploy our app to Google Firebase and see how localization works in real-time.